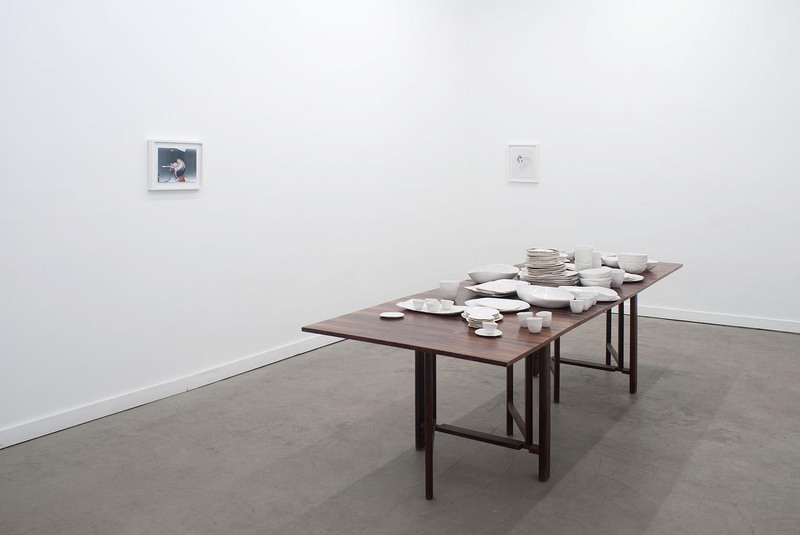 Paris London Hong Kong is pleased to present Tableware and Some Pictures, an exhibition of recent work by Chicago-based artist Laura Letinsky. 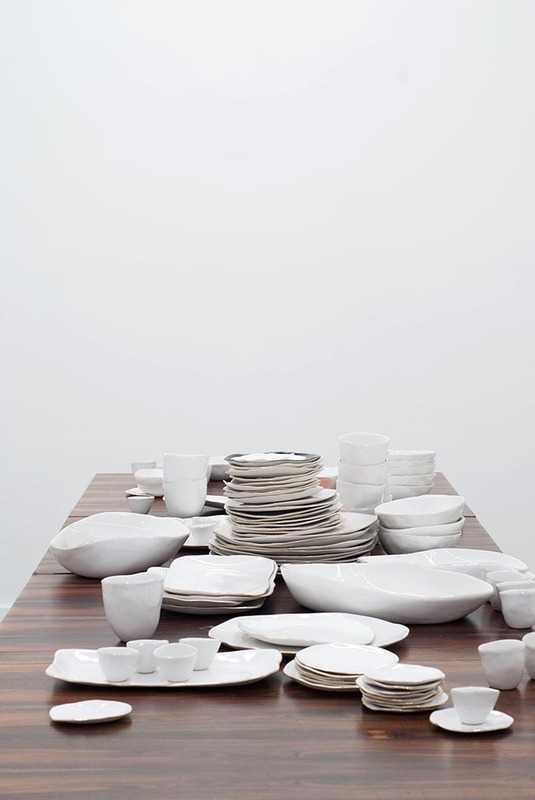 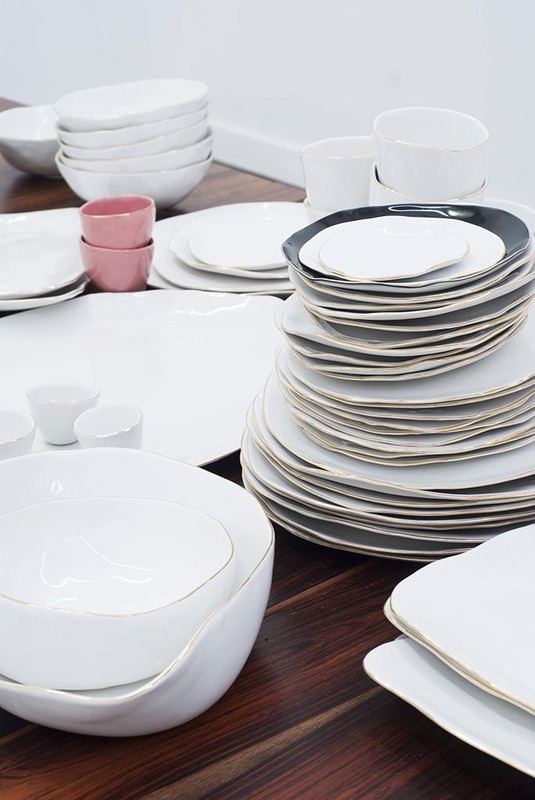 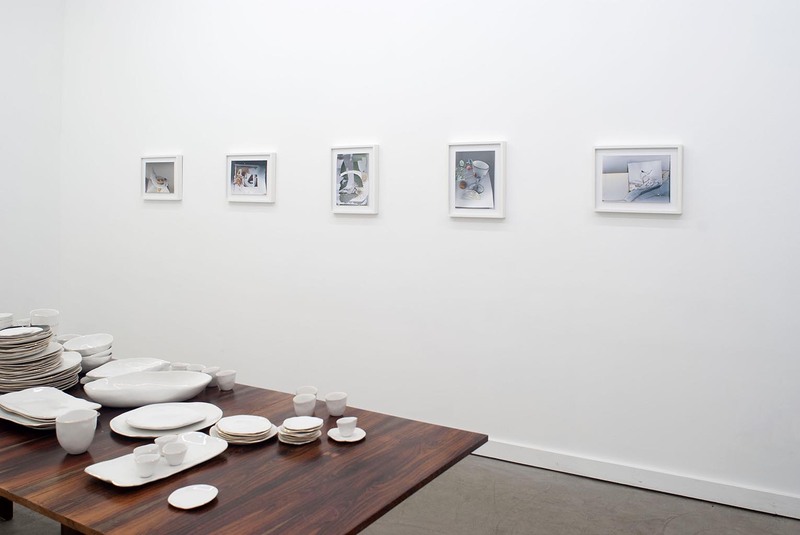 Tableware and Some Pictures features a series of new small-scale photographs titled Albeit, and an installation of new tableware ceramics titled Molosco. 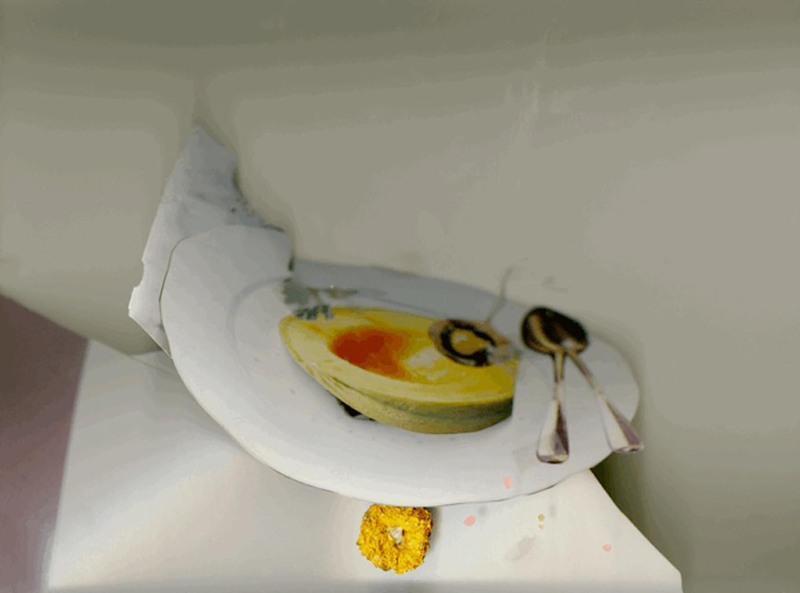 Letinsky has a long-standing relationship creating work addressing appetites and its role as materialized within the domestic setting. 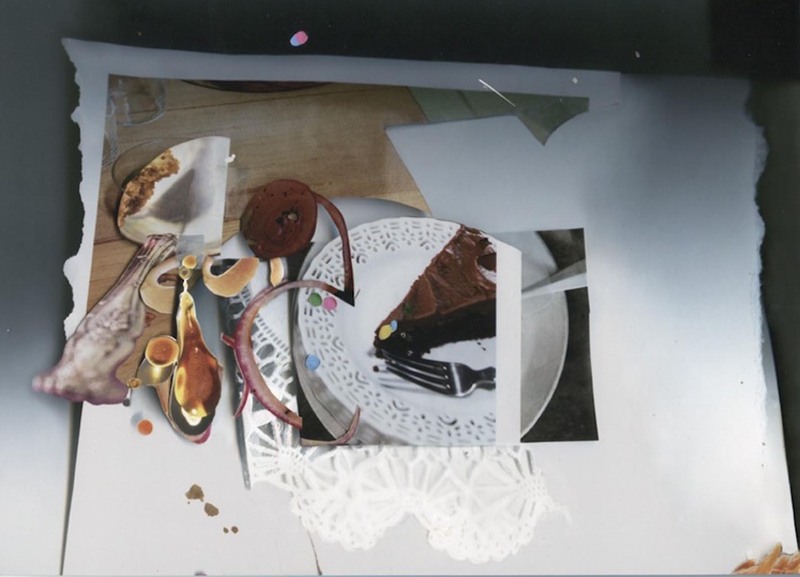 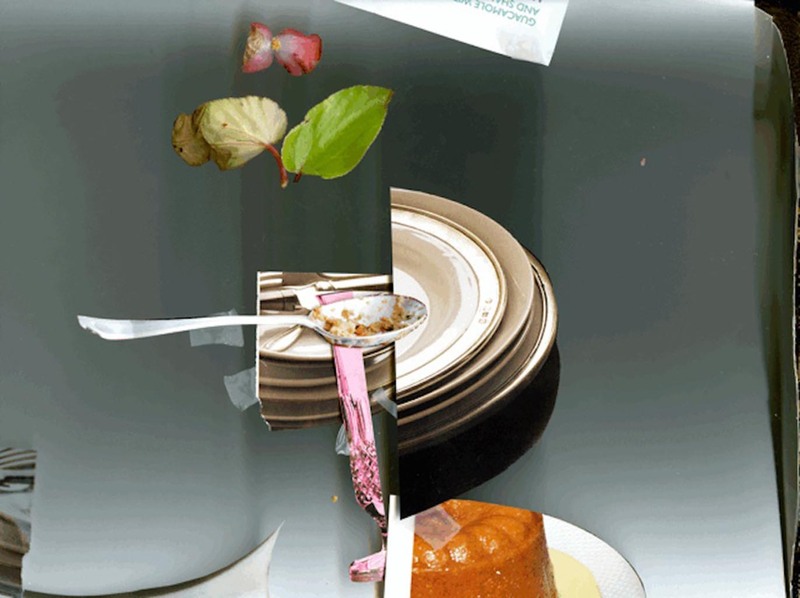 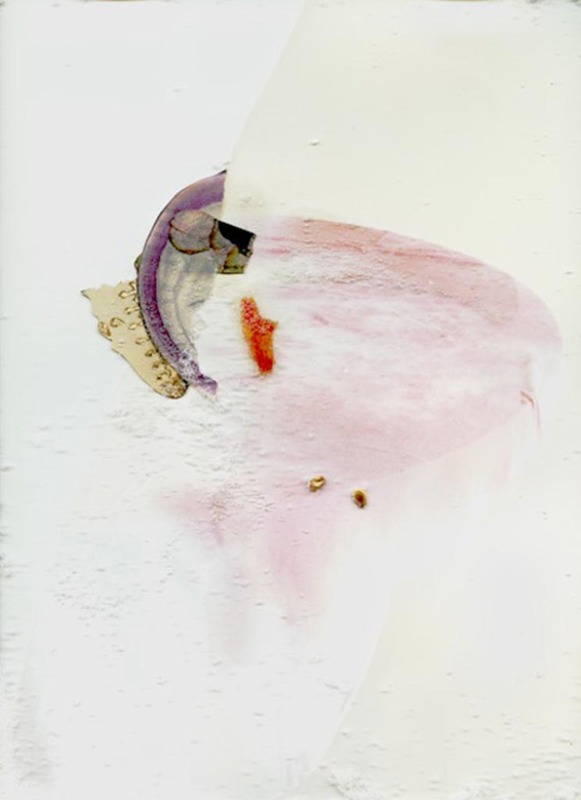 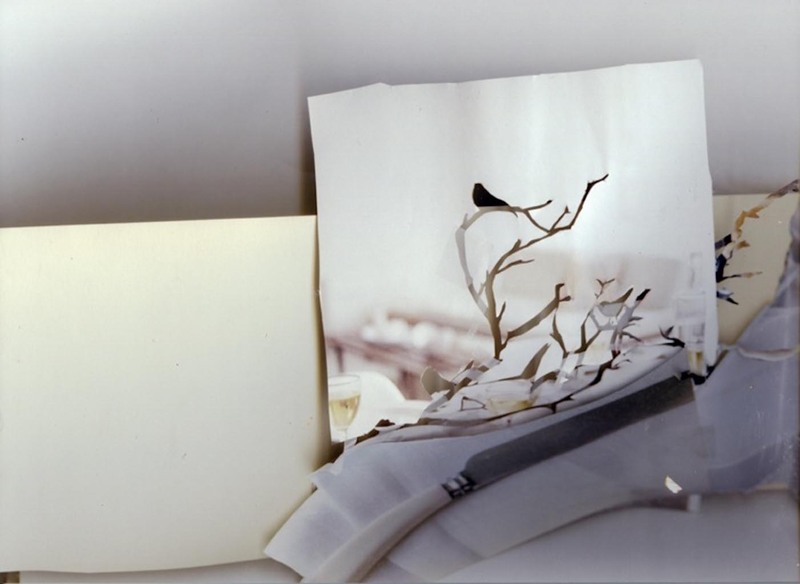 Earlier photographic works were comprised of the remnants of foods and objects common to the dining table; ranging from lipstick smeared half-empty wine glasses, to nibbled upon cakes and over-ripe fruits. 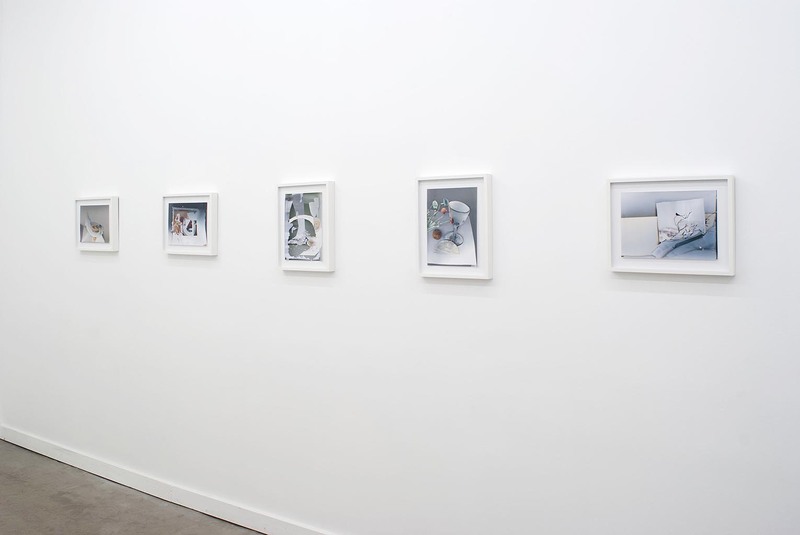 Shifting from photographs of actual objects, Letinsky now pictures scenes constructed from two-dimensional photographic source material. 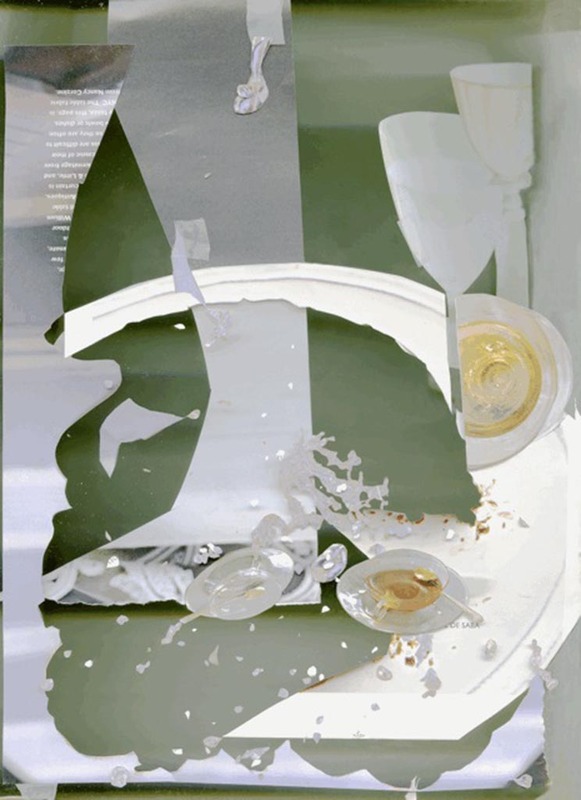 Juxtaposing home, art, and lifestyle magazine images, alongside images from her older works, as well as objects themselves, these images propose a fraught web binding need, want, and sustenance. 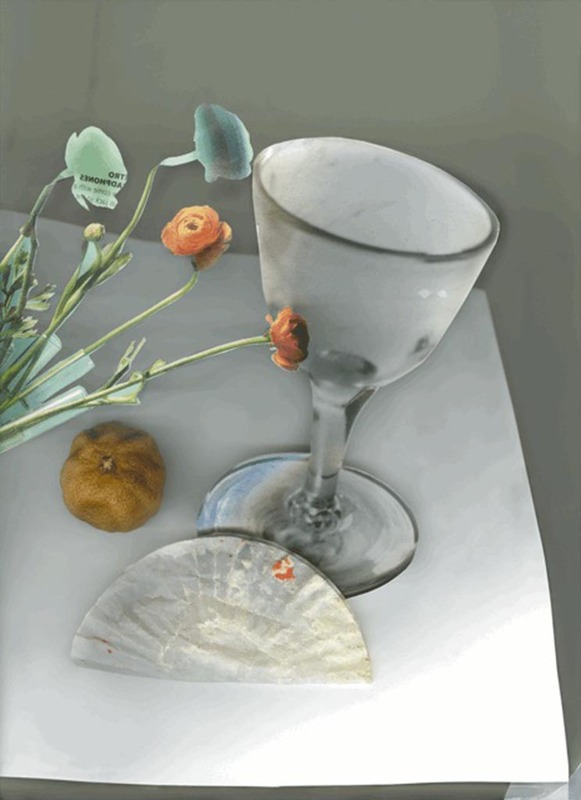 Alongside her large format photographic images, Albeit images made on the scanner use this perspective as proposition into another kind of apprehension. 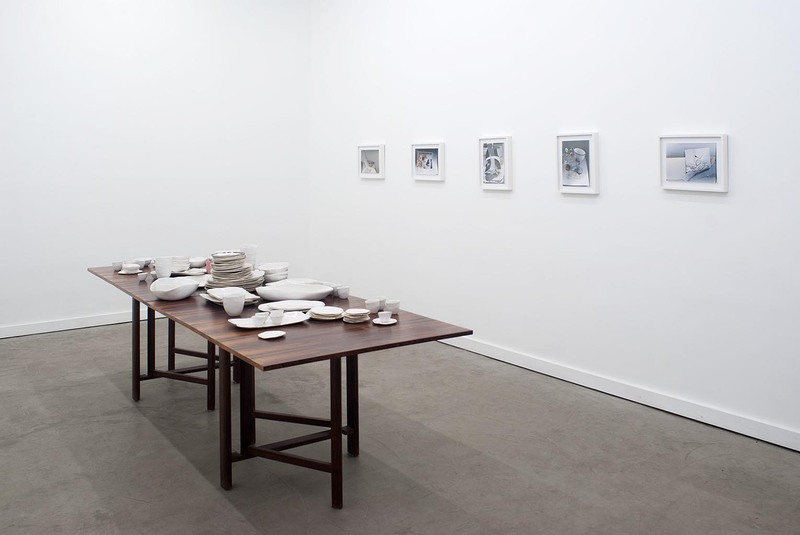 Accompanying these small-scale photographic works is a table installation featuring Letinsky’s ceramic series Molosco, a collaboration between the porcelain producer Ceramicasuro and Letinsky. 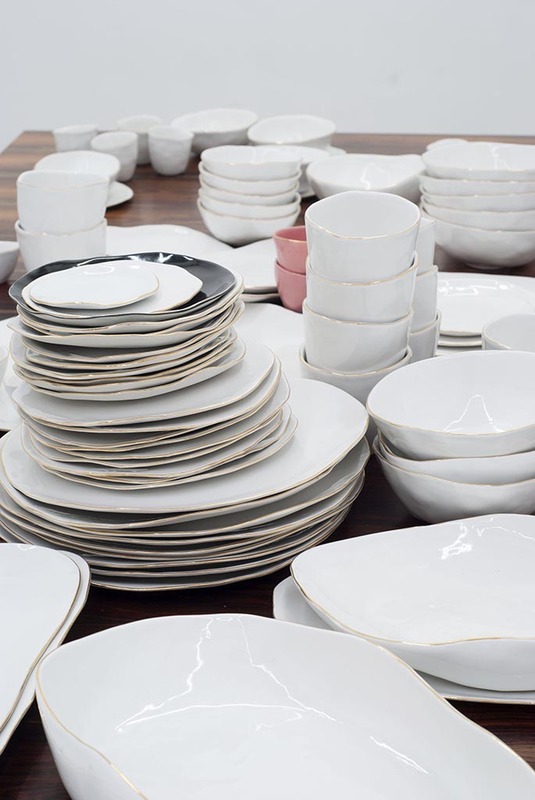 Letinsky’s production of ceramics began in 2009 as a quest for the perfect soup bowl. 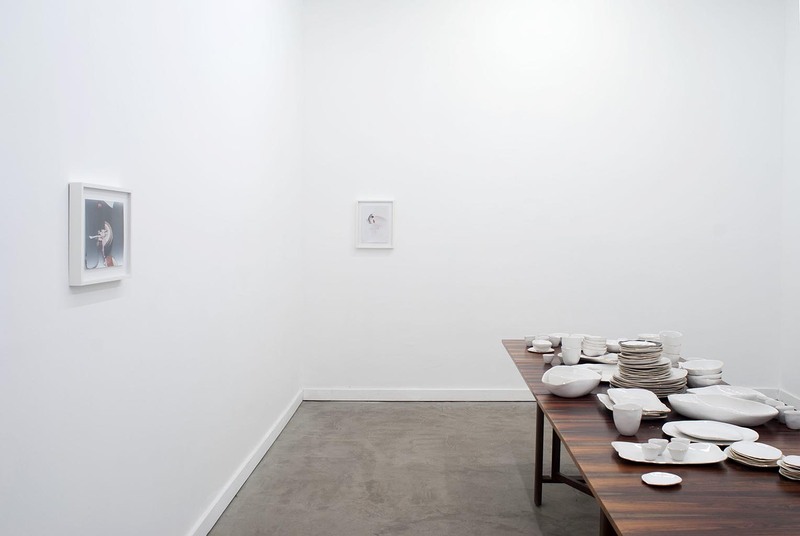 She started sculpting her bowls in the ceramics facility at Hyde Park Art Center where she had her studio. 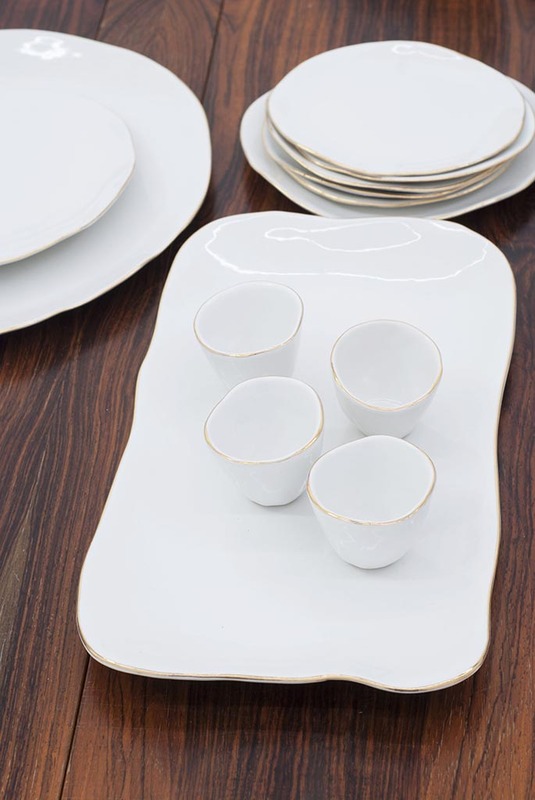 Her repertoire quickly expanded to include plates, cups and serving bowls and platters. 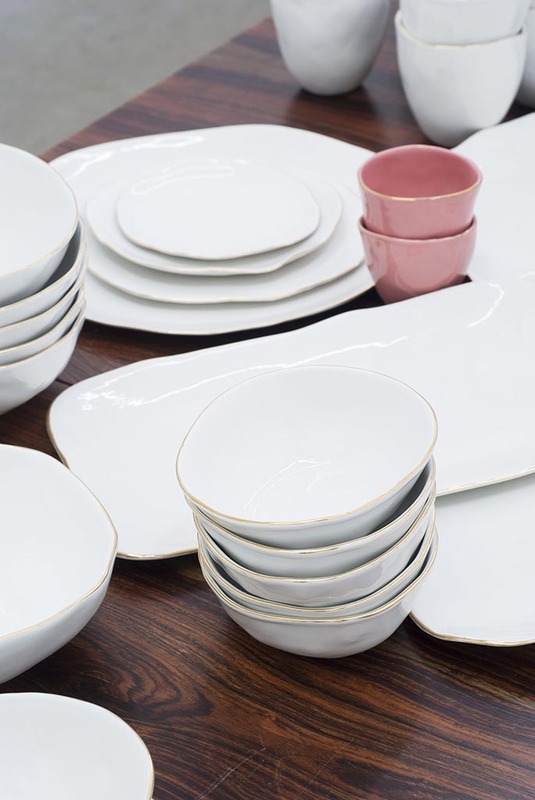 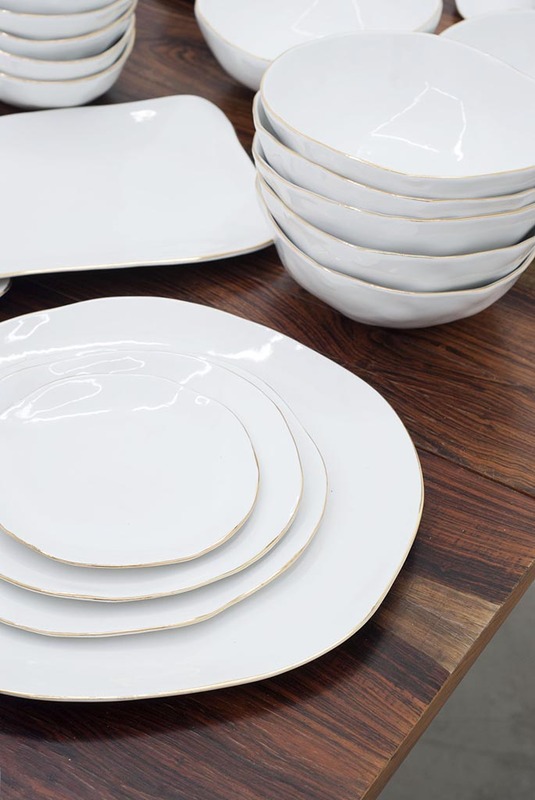 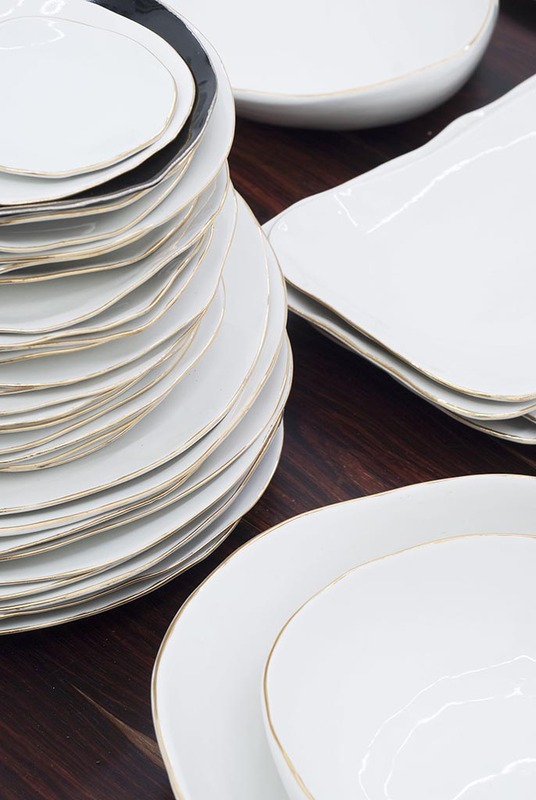 The “perfection” of these delicate individually formed porcelain ceramics with hand painted gold trim is in their intimate sense of a life lived.